Champ school’s CEO leads from the seat of a motorcycle, whether in the dirt on the street or in roadracing competition. 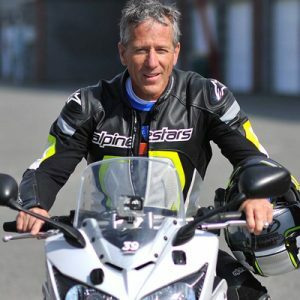 Off the bike he writes for Cycle World magazine and you might have his books Sport Riding Techniques and The Hill Ranch Racers. He has a pair of AMA #1 plates on the wall and deep ties from 35 years in the motorcycle industry.